Try not to feed baby too much before you arrive. If you can wait until you get to the studio you can relax and feed your baby here. And it means baby will be nice and sleepy for the shoot. Dress baby in a zip/button up onesie that is easy to remove. And a loose nappy. A pacifier is a great idea as it can be used to soothe baby between poses. Expect the session to last anywhere between 1-3 hours. I will be shooting a minumum of 3 different set ups and multiple poses including parent images. I regularly change wraps/blankets/hats and headbands throughout the session for variety. 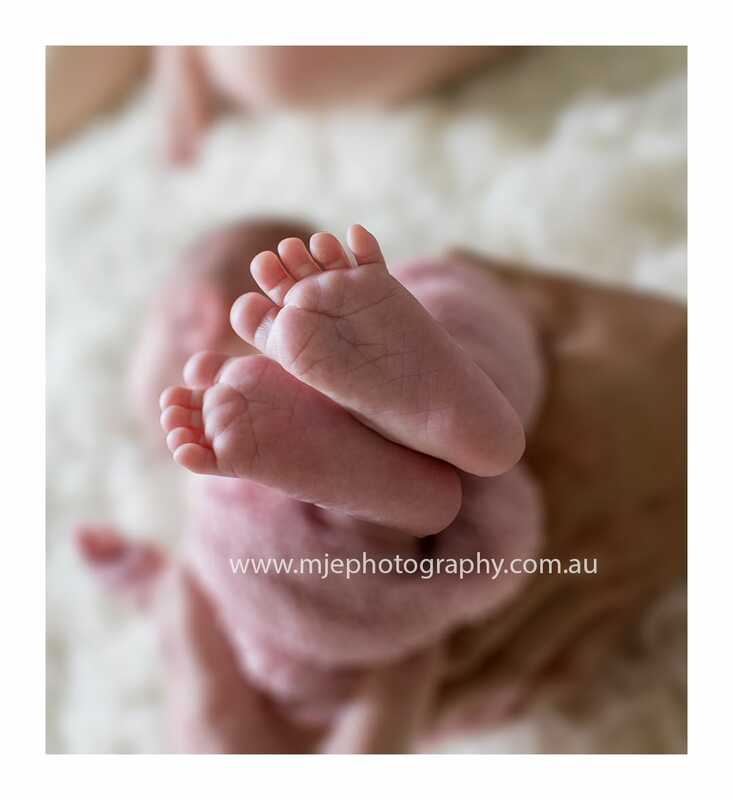 Your baby will most likely poo and wee throughout the shoot so it's a good idea to bring a supply of wet wipes with you to keep baby clean, dry and happy. I have plenty of towels and cloths to clean up any messes and after every shoot I thoroughly launder everything. So please don't panic if my things get messy! They will. They always do! 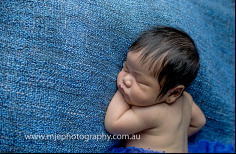 Newborn photography is best when baby is between 5-14 days old. This is when baby sleeps the most and you are able to get a variety of different poses. Baby is more bendable at this age as bending mimics the time spent in the womb. But please be aware your baby may not like to be put in such poses as it may be uncomfortable for them. If this is the case there is still a huge variety of other positions we can safely perform and still get quality images you will LOVE. You can expect a sneak peek of your session later on that evening. Your package will be ready for delivery within 3 weeks (provided you advise which images you would like printed in a timely manner). Once it is completed I will send you an email and we can discuss how you would like it delivered. If you live close by (within 15-20 minutes drive) I would be happy to hand deliver it to you. If you live farther away, I would be happy to send it in the mail. Otherwise you are always welcome to come and pick up your package yourself.